By Karol K in Blogging. Updated on November 10, 2017 . The previous part of the series was all about email and various aspects of it. How long an email should be. What a good subject line is. Finally, what the value of having a professionally looking email address is. These are all valid elements, but we haven’t touched upon the body of an email message yet. And this is exactly what we’re going to do today. Communicating via text is a rather difficult thing. Words, sentences, and punctuation are the only tools you can use. You can’t raise a smile in the middle of a sentence, you can’t use your hand movements to emphasize a point, you can’t use any other kind of body language to aid you in conveying your message. And since there are words only, this creates a lot of different challenges. For instance, when you’re contacting someone for the first time the last thing you want is to sound desperate, aggressive, demanding, or unpleasant in any way. In the real world’s communication, no matter what you say, you can simply smile at the end of a sentence and everything’s going to be fine. But on the internet – tough luck. First of all, there are always some universal elements every email should have, just to look serious, and … well, real. Some of these tips may sound obvious, but they are still very important and that’s why I’m including them here. For starters, don’t forget to simply say hi. This really goes a long way. A simple hi, or hello, with the person’s name next to it. Notice one thing, there isn’t a “Dear Sir,” or a “To whoever it may concern” on this list. Only “Hi [Name],” or “Hello [Name].” If you’re really about to use “to whoever it may concern” in the beginning of your email you’re truly better off not even sending the email at all. If you’re contacting someone for the first time introducing yourself is often a good idea. Don’t share your life’s story here, “I’m Karol, from newInternetOrder.com” is enough. Now the most important part – why you’re contacting. Make this as short as possible, and as to the point as possible. At first, this might sound like it’s too direct, but actually, busy individuals like people who value their time and don’t beat around the bush. 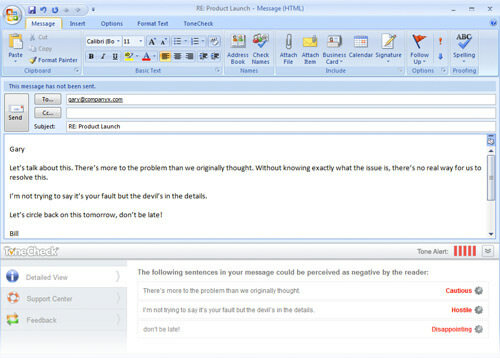 Besides, remember that you only have 5 sentences to use in your email. Do you really thing that there’s any place for beating around the bush? Finally, don’t ever end your email with “don’t forget to check out my blog at ______.” There’s a simpler and more clever way of getting someone to visit your blog. First of all, if they want to pay you a visit, they will, with no additional convincing. If they don’t, on the other hand, no convincing can change that. The only thing you need to do is provide an address. And there’s no better place for your blog’s URL than your signature line. Make sure that your blog’s URL is the first thing in your signature right after your name. Here’s the beginning of my signature, just to give you an example. Note: The URLs are converted into live links by default in every email software. The reason why you’re contacting (aka the actual message). Now, there’s one more truly important thing when it comes to email communication. One I’ve mentioned briefly in the beginning of this post. That is: selecting your voice carefully. No matter what you want to write, unfortunately, you can always go wrong, and sound aggressive, demanding, or negative in general … all by accident. All it takes is using one wrong word here and two other wrong words there, plus an exclamation mark at the end of one sentence, and you’re screwed. Self-confident, polite, humble, and friendly. These are the sort of personality traits you should present. No matter what your reason for sending an email is. No one will respond to an email that’s demanding, or sounding like the person thinks they’re standing higher in the human race hierarchy. That’s because it’s more than easy to ignore someone online, or even delete them from your inbox. The simplest rule of thumb is to remember that, again, people don’t care about you. So try to write your email in a way that they don’t care about you just a little less, not more. WRITING IN ALL CAPS – don’t. Even if it’s just a SINGLE word. Exclamation marks! – don’t. I have yet to stumble upon a case where an exclamation mark needs to be used in an email-based communication. Don’t use the phrase “no disrespect, but” because in 100% of the cases what follows is, indeed, a disrespectful statement. Don’t sound like a know-it-all. Even if you are. Don’t say you’re important. If you are important your recipient will already be aware of it. If you’re not important saying that you are won’t change anything. And most importantly, don’t ever lie get caught lying. If you’re writing to someone that you’ve been reading their blog for two years, for example, and still you fail to recognize their name, or worse than that, misspell their name then chances are you are lying, my friend. These are just some general rules for the online world, and apart from having them in mind there are a lot more things you need to be careful of. Each sentence has its own feel and emotional message. This is sometimes difficult to notice because you, as the author, know what emotions guide you while writing the message, but there’s no telling if the person reading it will get the same feeling. There are two ways of making sure that your message sounds, indeed, what you wanted it to sound like. Have it read by a friend/coworker. A fresh set of eyes can tell you what’s wrong (and right) with your message. Use a clever piece of software such as ToneCheck. ToneCheck is a cool app that connects to your Gmail account (among other possibilities), and takes a look at every message you write. ToneCheck analyzes your emails and notifies you about all the fragments that convey any kind of a negative messages. I admit, this post emphasizes a lot on the tone of your message itself, but it really is that important. If you get the tone of your message wrong there’s not a thing you can write that will save you. How you say something is always more important than what you actually say. Remember to always analyze each message you write, either yourself or with additional help from someone else, or an app like ToneCheck. Whenever you send something, and don’t get a response, chances are that either your subject line failed to arouse any interest, your message was too long, or its voice was not pleasant. These are the three most common reasons of failure. As you can see, they are all on you. Next part of the series is the final one. It features a roadmap, so to speak, on the exact steps you can take while reaching out to someone. Starting from the simplest initial contact, and ending on the “can you help me” email. Being able to sent a “can you help me” email to someone is the final step of an online relationship with any blogger. There’s just nothing bigger than this (that is, unless you want to marry someone). Since we’re talking about asking someone to do something … can I ask you to do something? :) Be honest, have you ever failed to contact someone effectively because the tone of your message was simply wrong?